Preheat your oven to 425 degrees. 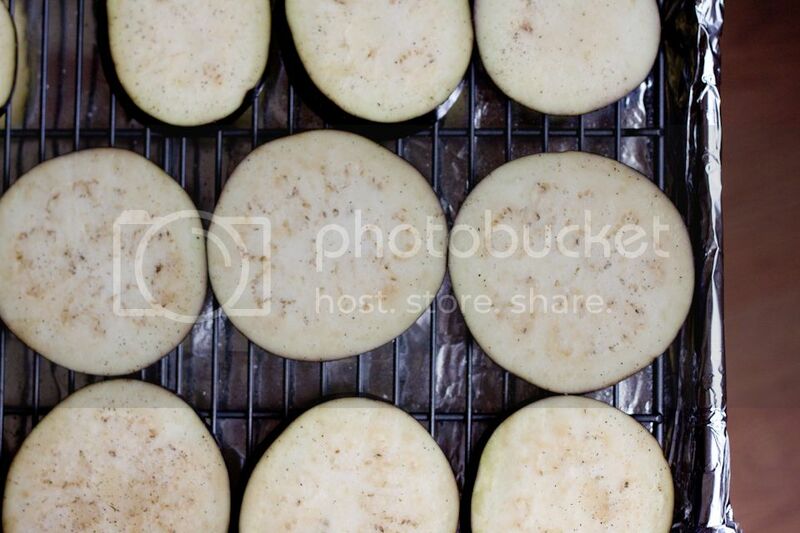 Brush each side of the eggplant slices with olive oil, then sprinkle both sides 1/2 tsp each salt and pepper. 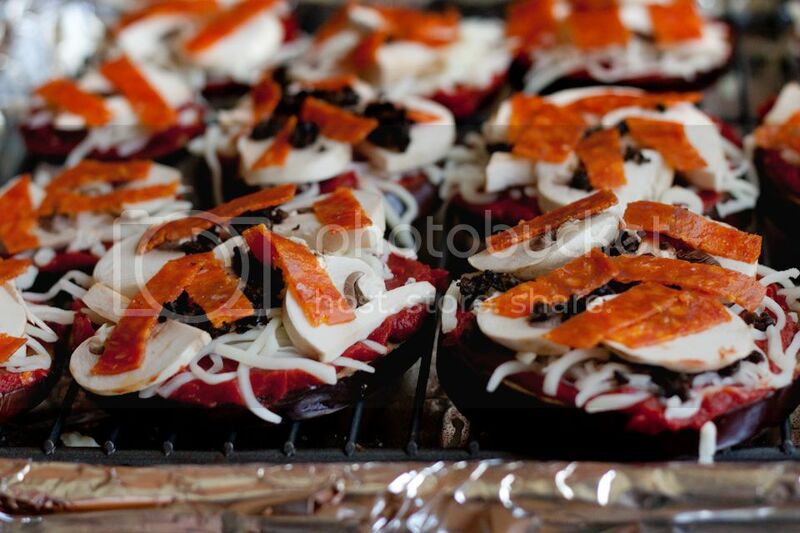 Place the eggplants on a cooling rack that’s on a baking sheet, and bake until they are softened and a little brown, about six minutes. 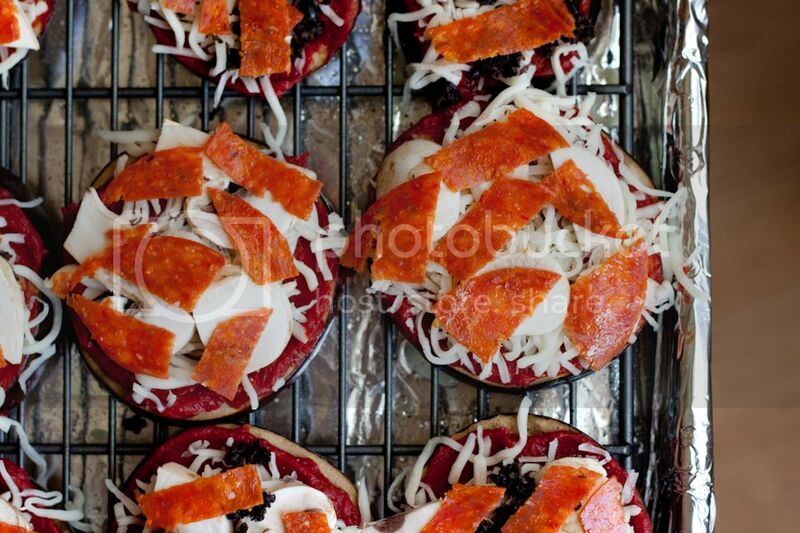 Spoon the tomato sauce on the eggplant slices, then add the cheese and toppings. 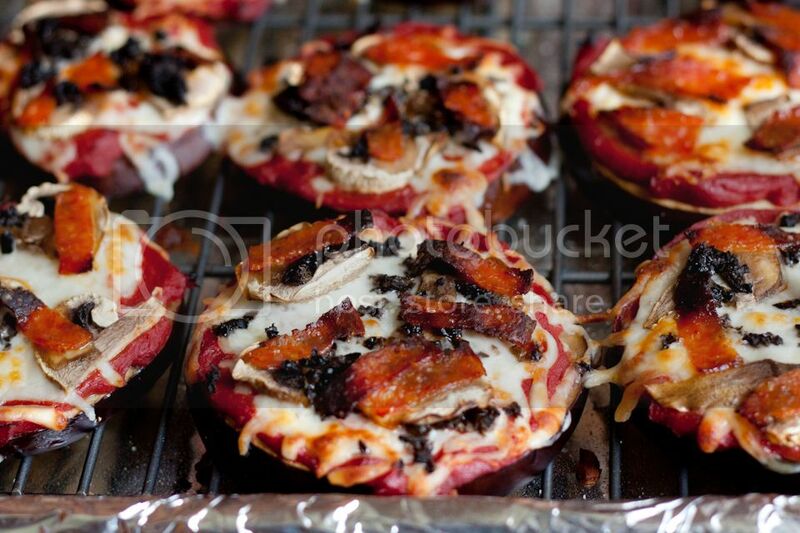 I’m sure you know how to make pizza! 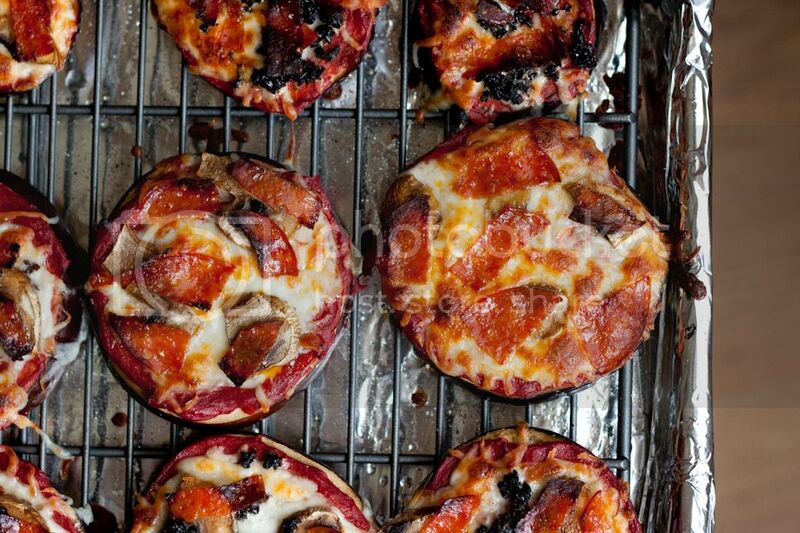 Our favorite toppings are black olives, mushrooms, and nitrate-free pepperoni. Return the baking sheet to the oven and bake for another five minutes, until the cheese is melted. Go ahead and broil it for a minute if you’d like some extra crispy toppings. That’s it! The eggplants are a little more tangy than your everyday pizza crust, but I’ve come to really enjoy their distinct taste as an impromptu pizza crust.